Don’t be shy, get it flying high! Don’t go all the trouble of having a sale only to have people walk by it oblivious. 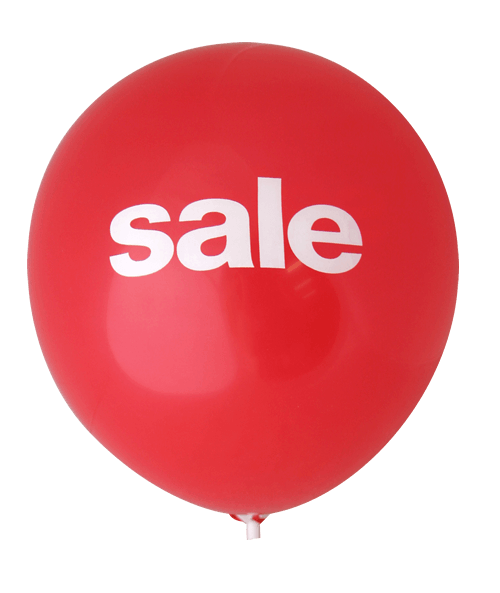 Our SALE balloons are the best, most cost-effective way to grab the punters attention. Each pack contains 40 helium grade balloons , 30cm size with a double-sided print! Time to get traffic through your door, and get your sale flying high!